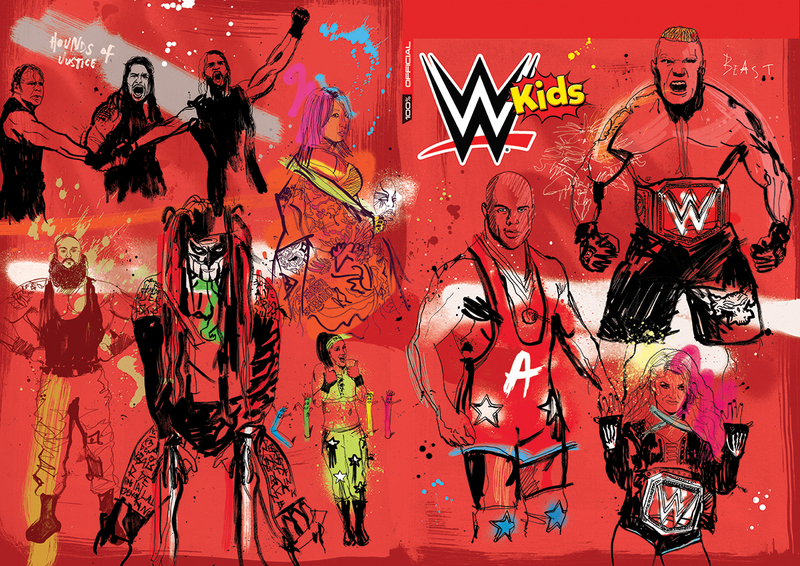 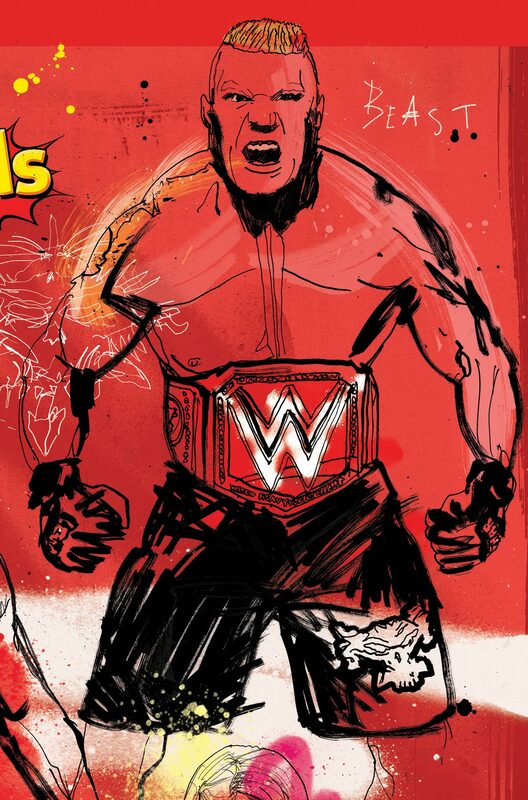 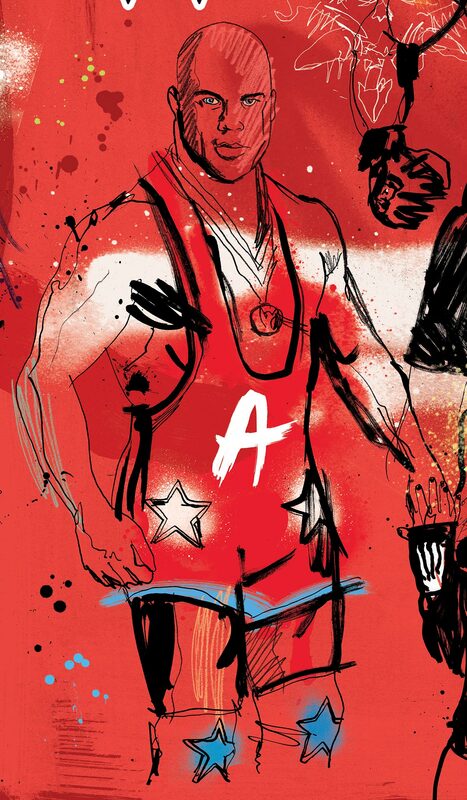 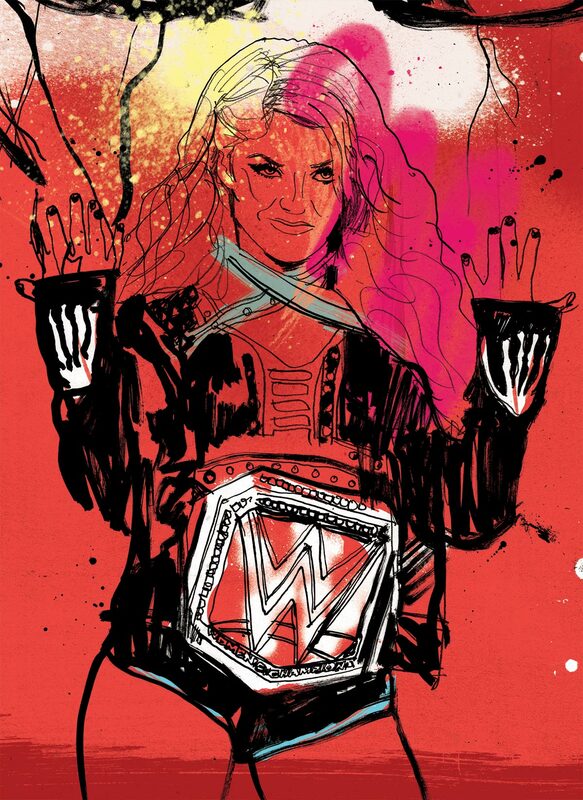 Hand painted and hand drawn artwork composed for the front and back cover of WWE Kids Magazine Raw special issue. 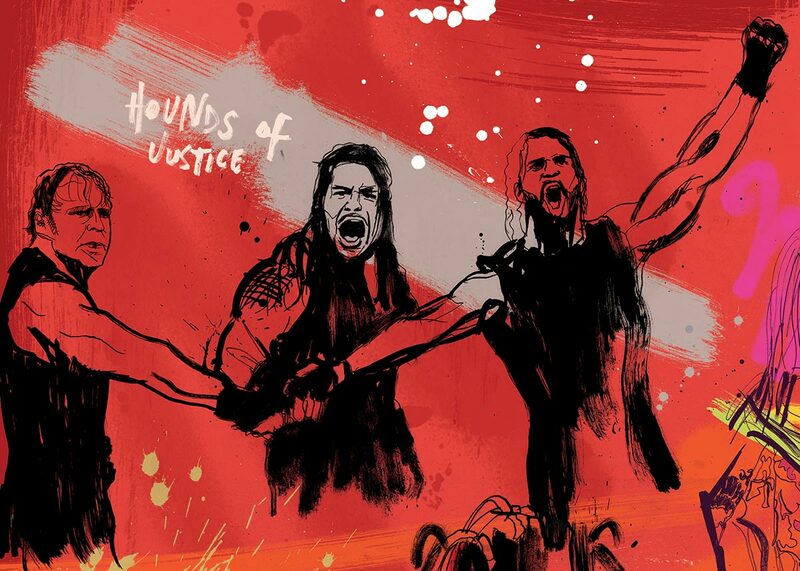 Featuring Finn Balor, Brock Lesnar, Alexa Bliss, Kurt Angle, Bayley, Asuka, Braun Strowman and The Shield (Roman Reigns, Seth Rollins, Dean Ambrose). 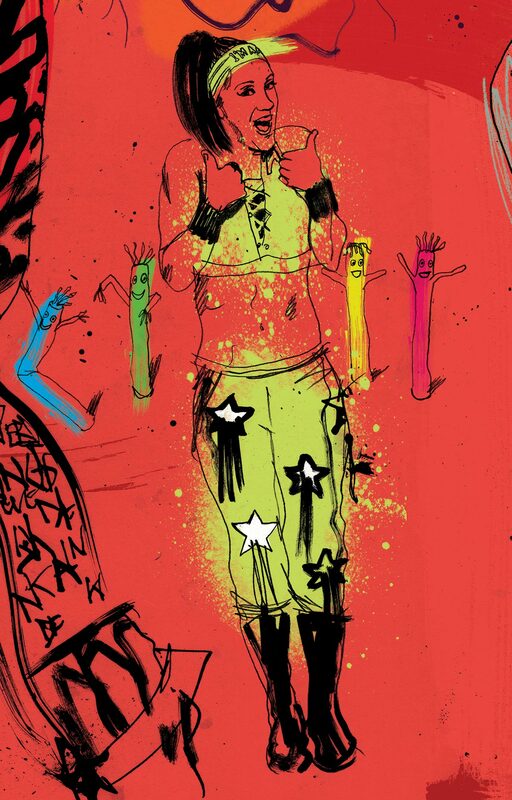 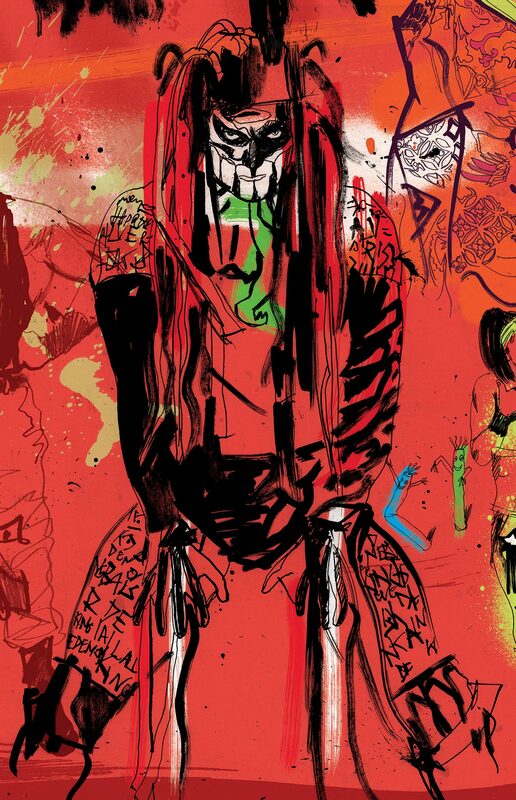 Ink, spray paint, pencil and acrylics illustration on paper.